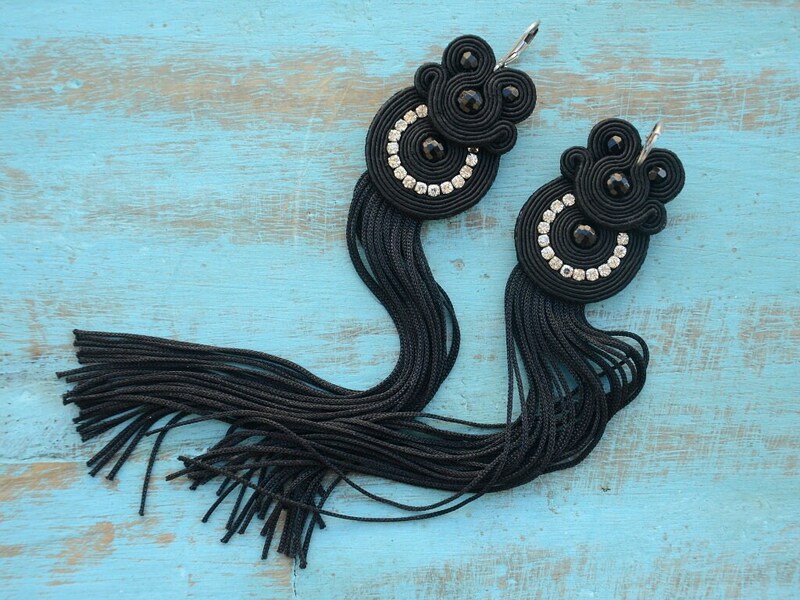 Ultra long black soutache earrings with fringes and faceted onyx beads. Despite the significant length, the earrings are surprisingly light. They are extremely eye-catching and are a perfect add-on to an alegant evening outfit.